The “Boston Boat” has been a fixture in Provincetown culture since the first ferry boat connected the city of Boston to the furthermost tip of Cape Cod in 1883. 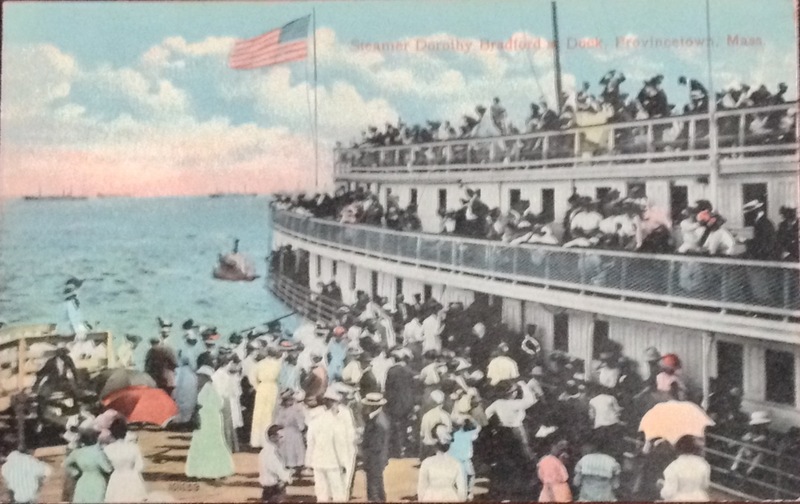 The first boat was named The Longfellow and it was replaced in 1911 by the Dorothy Bradford shown above docking at Railroad Pier, now known as MacMillan Pier (named for the famous arctic explorer). 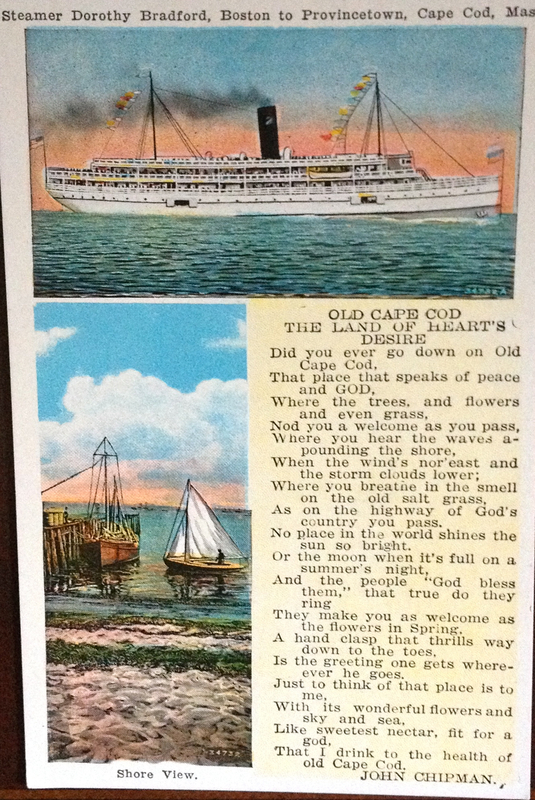 Operated by the Cape Cod Steamship Company, the Dorothy Bradford was in service until 1937. Today seasonal ferry service between Boston and Provincetown is provided by the Bay State Cruise Company. The Provincetown III makes it possible to get from Boston to Provincetown in just 90 minutes. The 2013 season begins on May 17th and will operate until mid October. For a lower price on Saturdays, visitors can take the Provincetown II for a lower price and a slower three hour journey. Either way, approaching Cape Cod by water provides beautiful scenery on a clear day. And it’s the beautiful scenery and the proximity to water that has the characters in Remaining in Provincetown so committed to the town, despite its seasonal economic challenges. What is it like to live in the town when the “Boston Boat” is not running and tourists are few? You’ll have to read the book , now available at Amazon.com, to find out.